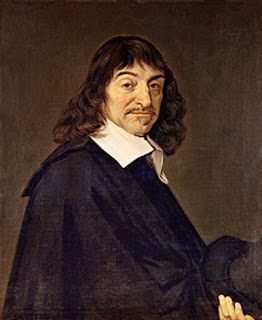 In mathematics, Descartes' rule of signs, first described by René Descartes in his work La Géométrie, is a technique for determining the number of positive or negative real roots of a polynomial. The rule gives us an upper bound number of positive or negative roots of a polynomial. It is not a complete criterion, i.e. it does not tell the exact number of positive or negative roots. The rule states that if the terms of a single-variable polynomial with real coefficients are ordered by descending variable exponent, then the number of positive roots of the polynomial is either equal to the number of sign differences between consecutive nonzero coefficients, or is less than it by a multiple of 2. Multiple roots of the same value are counted separately. As a corollary of the rule, the number of negative roots is the number of sign changes after multiplying the coefficients of odd-power terms by −1, or fewer than it by a multiple of 2. This procedure is equivalent to substituting the negation of the variable for the variable itself: For example, to find the number of negative roots of , we equivalently ask how many positive roots there are for in Using Descartes' rule of signs on gives the number of positive roots of g, and since it gives the number of positive roots of f, which is the same as the number of negative roots of f.
This polynomial has two sign changes (the sequence of pairs of successive signs is −+, ++, +−), meaning that this second polynomial has two or zero positive roots; thus the original polynomial has two or zero negative roots. so the roots are −1 (twice) and 1. So here, the roots are 1 (twice) and −1, the negation of the roots of the original polynomial. If , this has no sign changes, and the polynomial does not change when odd-powered terms (of which there are none in this example) have their coefficients replaced by -x. Thus the maximum number of positive roots is zero, as is the maximum number of negative roots; so the minimum (and in this case exact) number of complex roots is .